The Japanese Pavilion of the Pan-American Exposition followed by a Kimono Demonstration, Display and Fashion Show. Get in the mood for the festival with a presentation about the 1901 Japanese Pavilion of the Pan-American Exposition. This informative presentation will be followed by a Kimono demonstration, display and a fashion show! For 1 night only; a Japanese Hinadan will be on display. A Hinadan is a special doll display that represents the Heien era’s imperial family. It is traditionally set-up in Japanese homes to celebrate Girls Day on March 3rd. Please arrive early to meet and mingle. Enjoy an evening with your Cherry Blossom friends and support The Japanese Garden in Delaware Park. The evening includes an open bar, hors d’oeuvres, a wine pull, a silent auction and a special cherry blossom gin tasting by Lockhouse Distillery. Local Bands and International Bands. Local Artists and International Artists. It's a weekend to celebrate local and international, right here in Buffalo's Japanese Garden in Delaware Park. 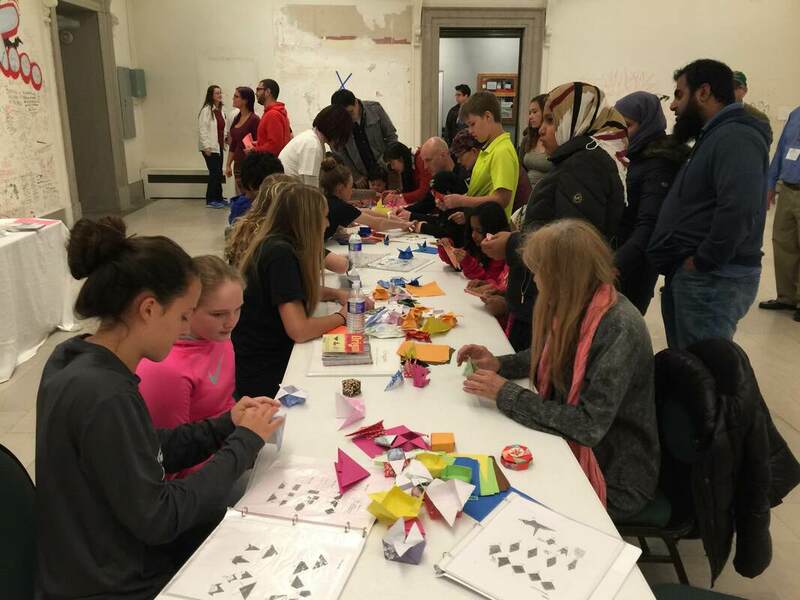 ​Come inside The Buffalo History Museum to learn more about Kanazawa, Japan our sister city. You'll see displays of bonsai, Japanese folk dolls, papercraft and an origami table to try your hand at making a box, a crane or a star. Admission to The Buffalo History Museum is free during Festival hours. 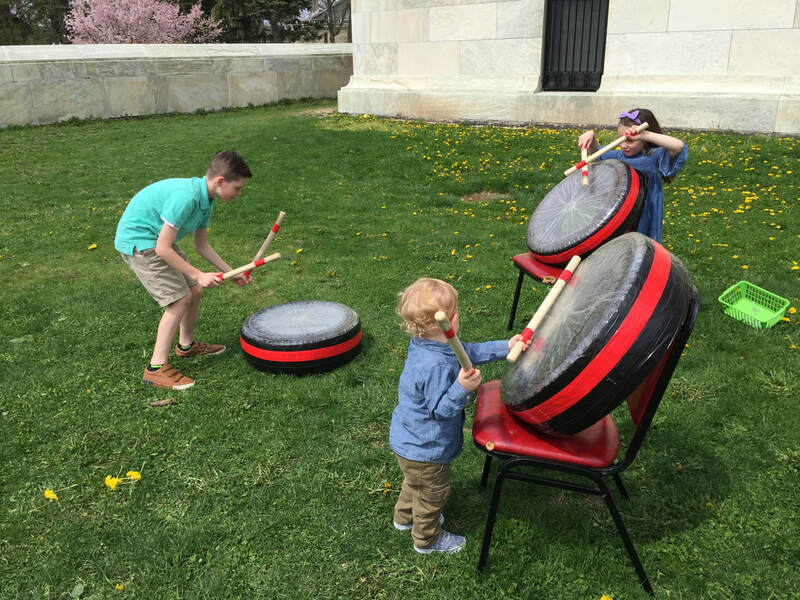 ​Taiko Drums are in the garden: Try out the Taiko Drums and see what it’s like to be a Taiko Drummer! 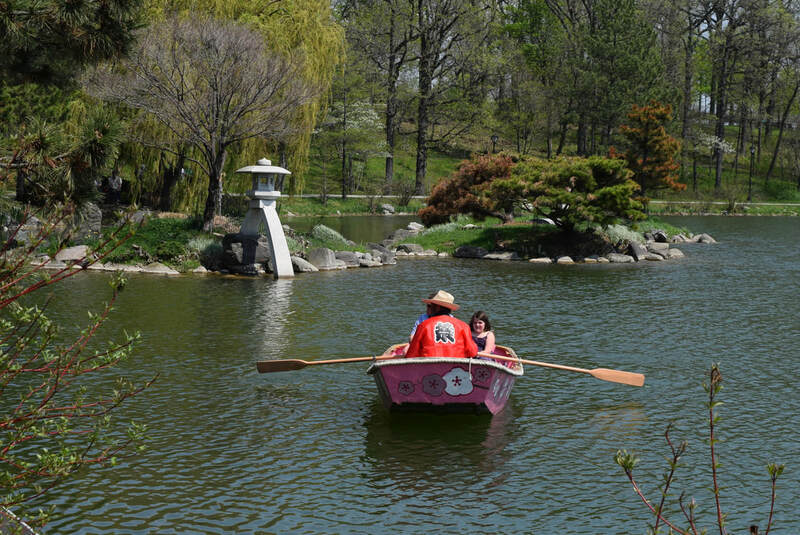 ​Pink boat rides on Mirror Lake: Take a ride around Mirror Lake and see the garden from a different angle.